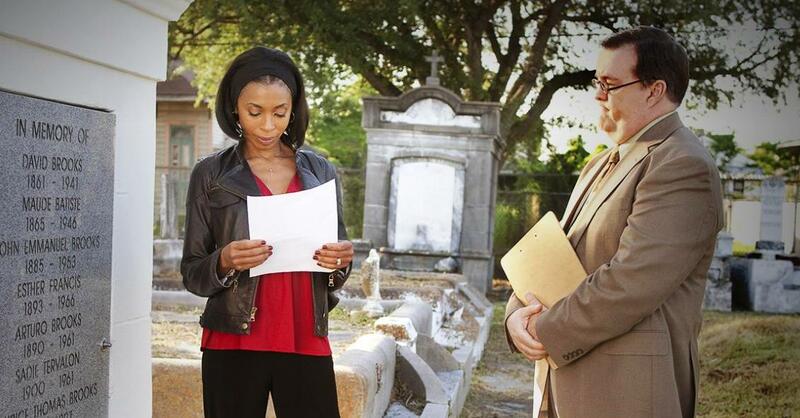 There's a lot of the stages of mourning taking place in the first season finale of Treme, and the opening stage is Toni's denial to the police detectives investigating Creighton's disappearance that the story they've heard fits with her perception of the man she married. A man reported lending a cigarette to a large man on the ferry who was there one minute and gone the next, but Toni insists that Creighton gave up smokes years ago. Besides, his vehicle wasn't found on the ferry, so she's not buying that story, even though her face betrays her inner fears: It's the same look she got when LaDonna failed to find her brother in the photos of the incarcerated. 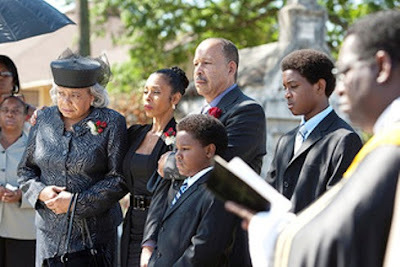 There will be other types and stages of mourning and part of it will belong to the viewer, as one of the most promising new series in a while, sprung from the minds of The Wire creator David Simon and Eric Overmyer, has ended for now. Thankfully, season two will begin filming this summer. Bursting with excitement over a glowing review for his four-song satirical CD, Davis goes to his mom to ask for some money to re-record it for a professional label. He even boasts of how much he's made so far, $4,000, and flashes $2,200. His mom says they'll match whatever he puts up but for the rest, he'll have to get a job. With his tail between his legs, the one-time political candidate returns to his disc jockey role and agrees to follow the radio station's edicts. Troy Andrews dines with Antoine at a sushi place because he has a dilemma: He has conflicting gigs and can't be two places at once so he holds out his fists and asks Antoine to pick. 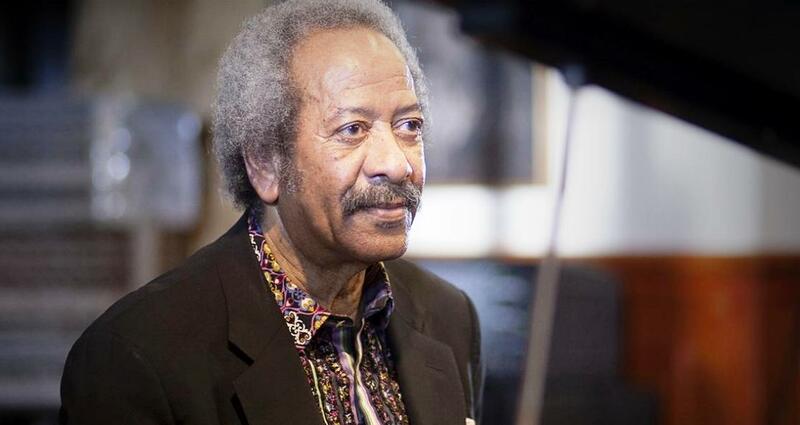 Antoine's selection ends up being a chance to rehearse and perform with Allen Toussaint for $1,000. The rehearsals include the classic "Stagger Lee" and lots of poker playing during breaks. Unfortunately, Antoine is playing on IOUs for the money he hasn't yet earned so he keeps proposing more games to try to make up for his losses. When he does get his cash payment, most of it goes to his fellow musicians to cover his losses. At home, an unhappy Desiree can't believe he earned so little after so much rehearsing. Still seething, the contractor Riley shows up at LaDonna's tavern wondering where in the hell she got a completed roof. LaDonna offers him a deal: She'll drop all charges provided that Arnie Reyes get the necessary licenses and crew to take over Riley's business, since Arnie is an honest man. Riley reluctantly shakes Arnie's hand on it. With St. Joseph's fast approaching, Albert, his children and the rest of the tribe work furiously on their costumes. Albert says he always cuts it close. 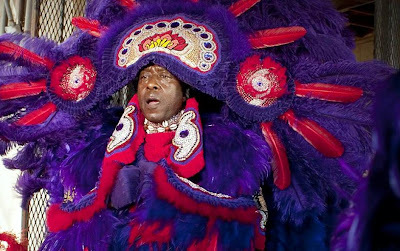 "If it were easy, everybody'd be Indians," he proclaims. Davis reluctantly helps Janette pack up her place, though he does get her to agree to give him one day to convince her not to leave for New York. In the darkness, in a scene that seems to have echoes of The Exorcist, the two detectives return to the Bernettes' residence and informs Toni that Creighton's body has been found in the river. After they leave, a shrieking Sofia can be heard. The next morning, Creighton's death makes the front page of the newspaper, shocking Davis since he knew him as did Janette. Davis says this makes it necessary for him to take a day to plan "the day of convincing." Toni tries to hold herself together by making sure her caseload is being handled, bringing a colleague up to speed, giving the woman the task to again try to convince LaDonna to get an independent autopsy on Daymo. Her colleague tells Toni she'll take care of everything and she has more important things to worry about. She agrees to watch Sofia as Toni leaves to inspect Creighton's truck which was found in an impound lot. In the glove compartment, she finds his wallet which contains a note that says, "I love you, Cray." Toni loses it. Melissa Leo always is good but this is her episode. When the unfortunate and probably inevitable Emmy snubs are discussed about Treme, they really will all concern the women because Melissa Leo, Khandi Alexander and Kim Dickens gave three of the best performances by actresses in television dramas this year and all deserve recognition. That's not to say the men are slackers, but the women have simply blown them away in this show's first season. I should probably be vigilant and recount in detail more of what transpired in the season finale, but somehow I feel more like summing up the season. The last episode does finally let us glimpse Albert in his full Indian regalia and David Brooks gets laid to rest followed by a traditional second line that Toni joins, even though earlier she said she wouldn't honor Creighton's will request for one because quitters don't deserve one. Davis doesn't keep Janette from boarding that plane, but he does find Annie sitting on his step looking for a place to stay, giving hope that her character can be salvaged from the show's worst storyline. There is a brilliant sequence that flashes back to show what all the characters were doing or did when Katrina, including the then-living David Brooks. We also get another classic moment with Creighton, assuring his family that the hurricane will swerve at the last minute just as it always does and they can all go back to pretending that the levees aren't constructed from Spanish moss and Krazy Glue. As I mentioned when the show began, fans of The Wire expecting something in the same vein were sure to be disappointed, but those open to quality television would find something completely different and unique, but still remarkable viewing. 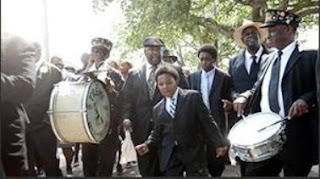 I haven't watched Glee, but I have to imagine Treme makes music an even more integral part of its story. It's not a plot heavy show. Where it resembles The Wire most closely is that it's painting a portrait of a city, only instead of doing it through its institutions as The Wire did, it does it through culture, texture, detail and, above all, character. I often said (and I was far from the only one to make this comparison) that The Wire was more like a novel than a TV show. 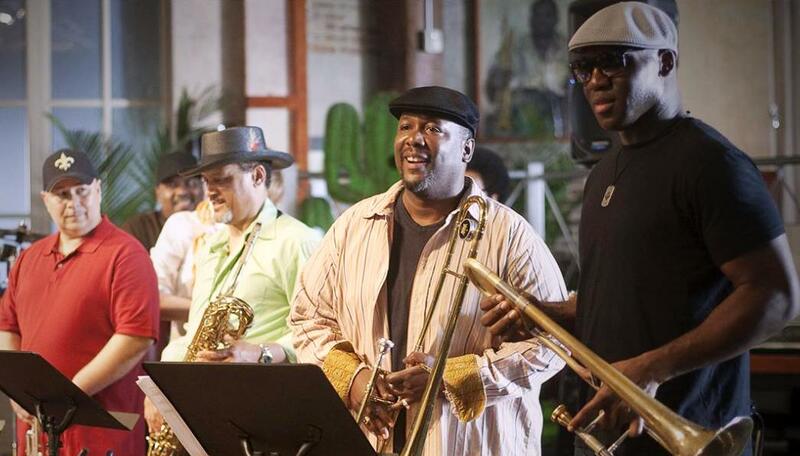 In its own way, Treme is shaping up to be a musicians' jam session, riffing across all sorts of cultural lines. Since it concentrates on one particular neighborhood in New Orleans and one point in time, I can't help but wonder if David Simon wishes now (or is thinking ahead) of how he can work in characters who work as fishermen or oil rig workers. Whatever they plan for season 2 and forever long the series last, I'll be curious to see how it goes. I will miss John Goodman. I hope Kim Dickens isn't really gone for good. Most of all, I hope Sonny overdoses soon so we can dump his dull, trite character quickly and spend more time with the people we've come to care for in a short 10 episodes. I do hope it follows one path that The Wire took and Treme keeps getting better with each subsequent season.